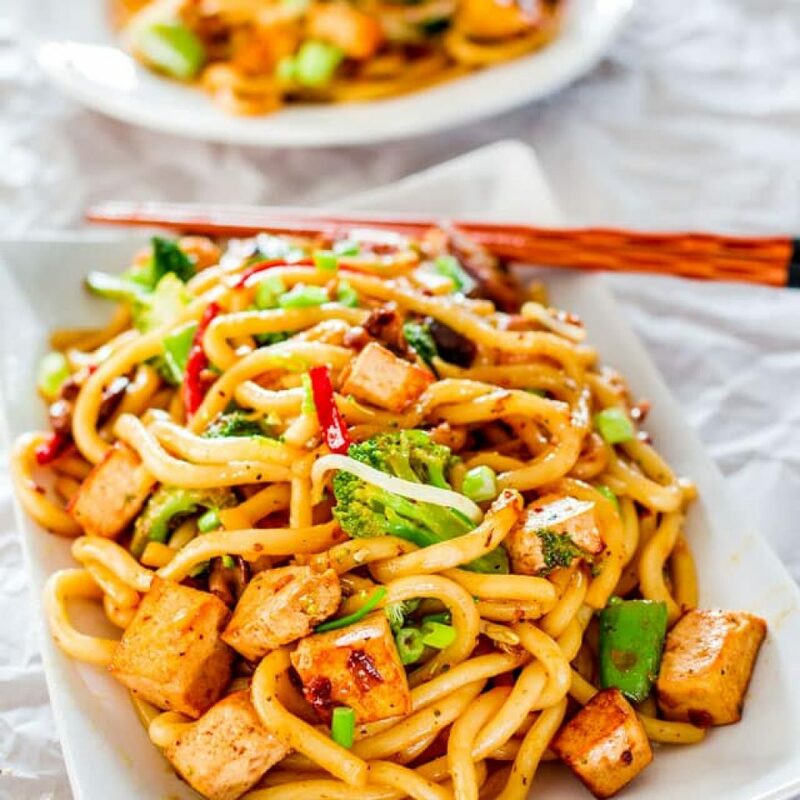 Tofu Drunken Udon Noodles is Addictive, super yummy Udon noodles that is pretty easy to prepare! 1 tbsp fish sauce, brown sugar, honey. 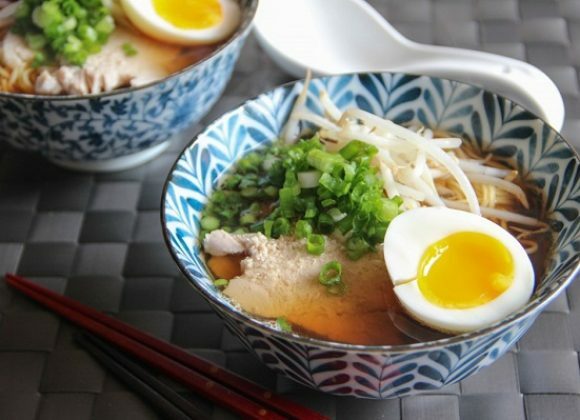 In a small bowl whisk all the sauce ingredients together. In a large skillet or a wok heat the olive oil and the sesame oil. Add the garlic and chopped onion to the skillet and cook for about a minute or just until the garlic starts to smell. To the skillet add the tofu, bell pepper and mushroom and continue sauteing until the tofu begins to brown, stirring occasionally. Add broccoli, baby corn and snap peas and continue cooking for a couple minutes, just until the broccoli cooks a bit. Add the cooked udon noodles to the skillet and pour sauce over the noodles. Toss and remove from heat. Add bean sprouts, freshly ground pepper and green onions.